In the far corner of Allendale village square there is a handsome lychgate which leads to St Cuthbert’s Church. On the south aisle wall near the tower hangs a sundial inscribed with latitude 54° 50’ in support of the 19th Century claim that Allendale is at the very centre of Britain. The methods for establishing this centre point are many and varied leading to widely differing claims and counter-claims. 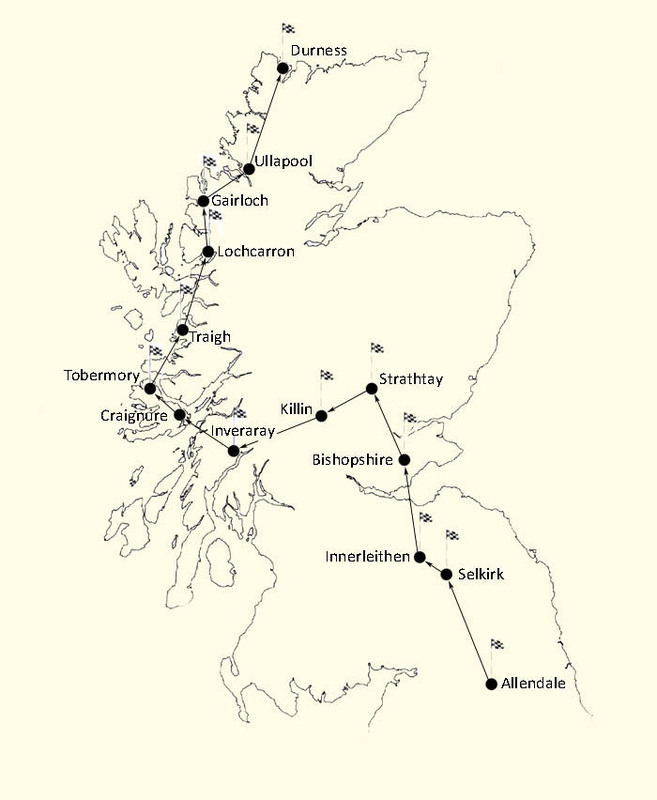 I will ignore this; for the purposes of this journey I am starting at the centre of Britain and heading for its top left corner, Cape Wrath. This book is as much about the journey as the golf courses in between. So, dear reader, pack the golf clubs in the most exciting car you can lay your hands on, head for Allendale and enjoy the ride.